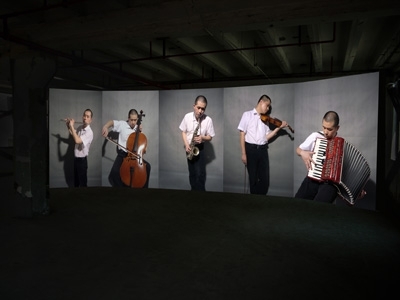 Mu Li works with video, photography, installation and performance art. His work transcends the boundaries of the artist by broadening his personal understanding of art through the works themselves. 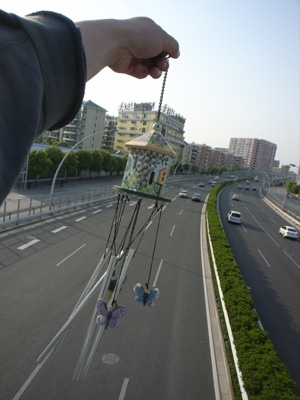 Everyday life also plays an important role in Li’s work, in which a relationship between the environment, the general public, and the artist is established. Often, the boundaries between art and life are questioned by the artist’s personal experiences portrayed in his work. Mu Li (born 1974, Feng County, Jiangsu Province, China) lives and works in Shanghai. He graduated from the Suzhou School of Art and Design, Suzhou, 1995 and the Academy of Art of Tsinghua University, Beijing, 2001. Mu Li, Blued Books, 2008-2009, Photography, video, drawing, installations, and text. Courtesy of the artist. Mu Li, New Job, 2010, Contract, photography, and interview. Courtesy of the artist. 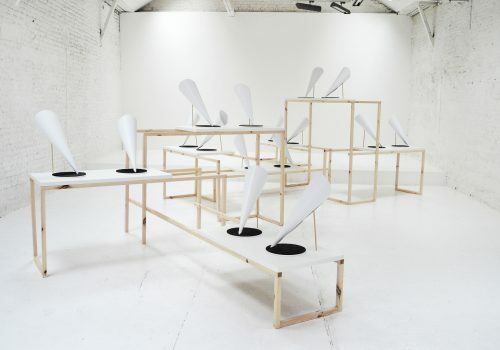 Mu Li, Present, 2009, Photography, video, sound, and letters. Courtesy of the artist. 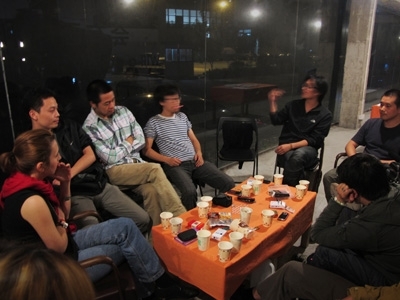 Mu Li, My Questions, 2010, Installation, video, and interviews. Courtesy of the artist. 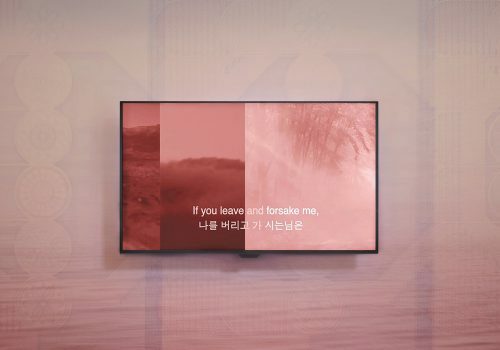 Mu Li, Unfamiliar, 2009, Video installation. Courtesy of the artist. 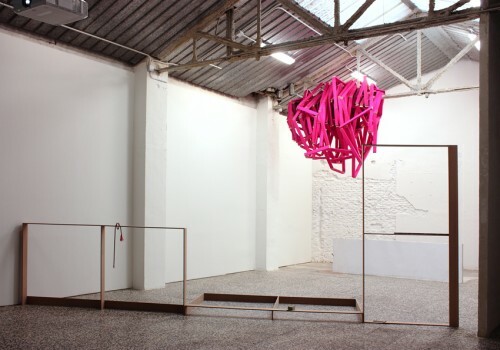 Loredana Di Lillo experiments with different media: drawing, painting, sculpture, installation, photography and video. 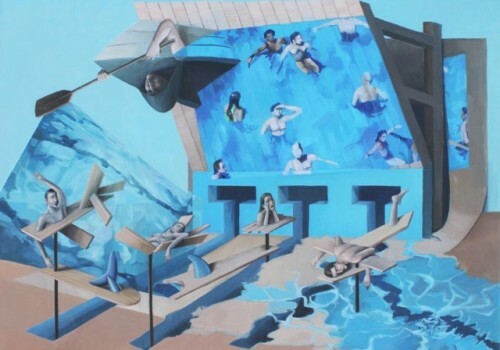 The underlying theme in her work is the artist’s thoughts on modern society. 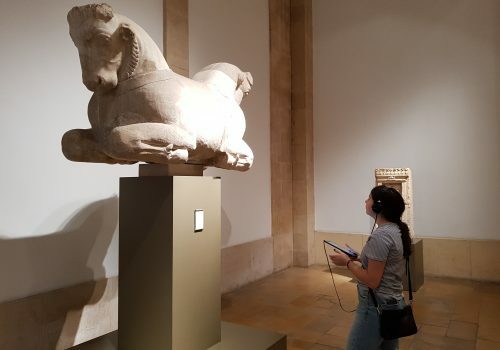 Starting from her analysis of customs, vice and virtue, local history and identity, she reflects on everyday life through interweaving her practice with the reality she inhabits. Loredana Di Lillo lives and works in Milan, Italy. She holds a BFA in painting from the Academy of Fine Arts of Rome. Recent solo shows include SÜD, as part of the residency Residenza d’artista- Level One, and Animal, DOCVA Viafarini, Milan. 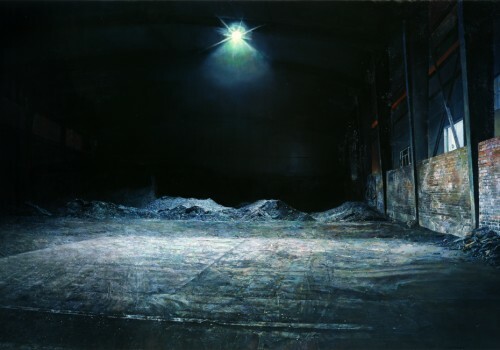 Selected group exhibitions include: Ovovia Italia 61, Un Po d’arte, Turin; Calamitati da Gino, Centro Italiano Arte Contemporanea, Foligno, Italy; Il bel paese dell’arte, Etiche ed estetiche della Nazione, GAMeC, Bergamo, Italy; Premio Lum, Teatro Margherita, Bari, Italy; Emerging Talents, Palazzo Strozzi, Florence; and The Art of Camo, Cardi Black Box, Milan. Di Lillo won the 2005 Talk to the City Prize, Milan. 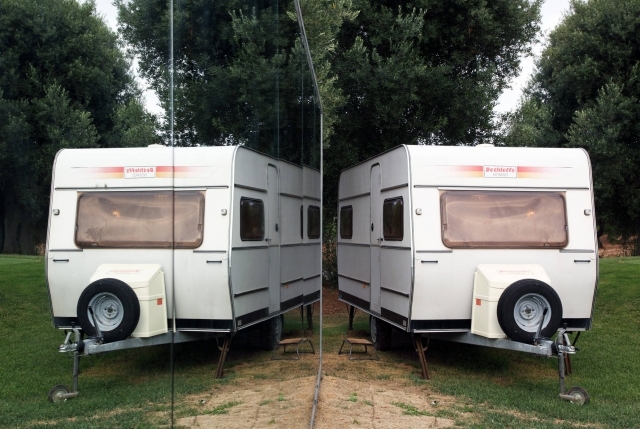 Loredana Di Lillo, SüD, 2011, Caravan, mirror, chandelier, photocopies, photographs, pillows, carpet, sink, acrylic enamel, curtains, and moquette, Dimensions variable. 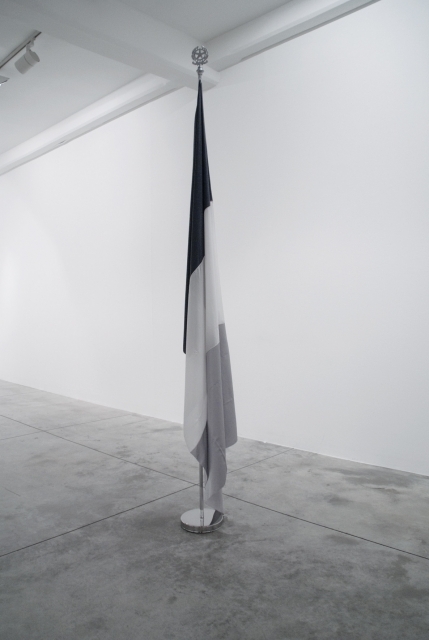 Loredana Di Lillo, Black & White Italian Flag, 2010, Silk, brass flagpole Flagpole, Flagpole: 112 in., flag: 59 x 88 in. 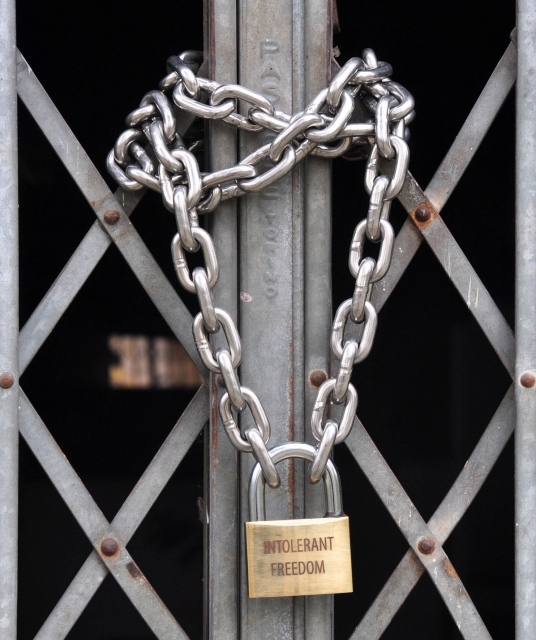 Loredana Di Lillo, Intolerant Freedom, 2011, Padlock, two keys, steel chain silver and engraving padlock, 15 x 23 in., chain 46 x 1 1/8 in. 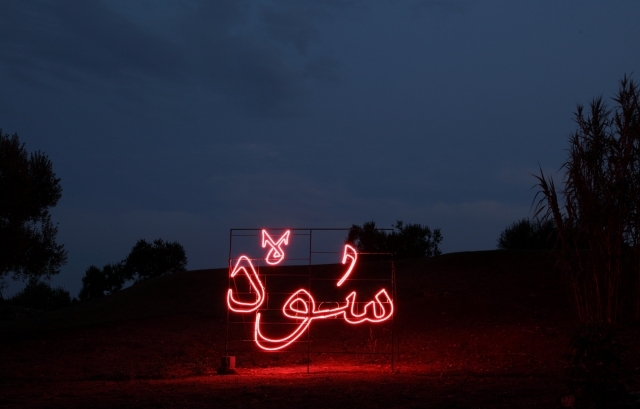 Loredana Di Lillo, South, 2011, Neon light, 86 × 78 in. (218.44 × 198.12 cm). 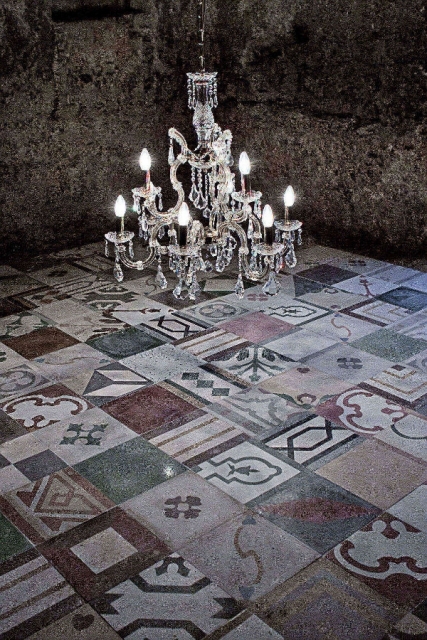 Loredana Di Lillo, Spazio Civile, 2011, Colored slurry tiled floor and crystal chandelier, Dimensions variable. 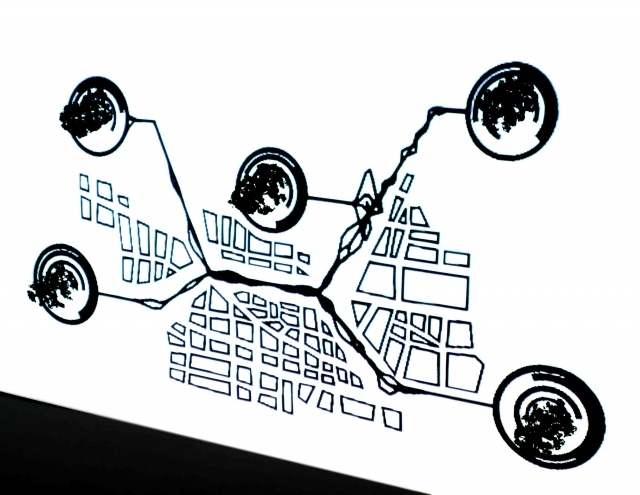 Anton Cabaleiro explores the relationship between new technologies and society through digital means. 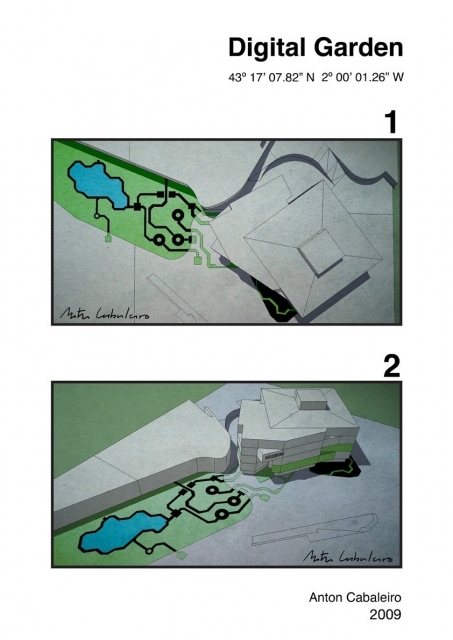 His work includes the different phases of the creative process, from graphic design stages to the final audiovisual result. 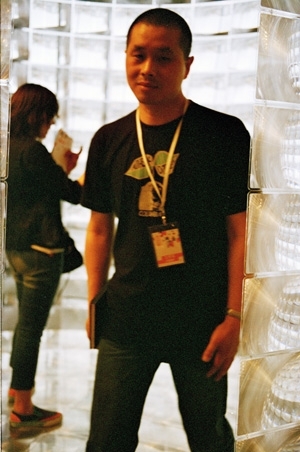 In his single-channel videos and video installations he mixes several techniques, such as motion graphics, animation and augmented reality, to combine real and virtual elements within the same environment. 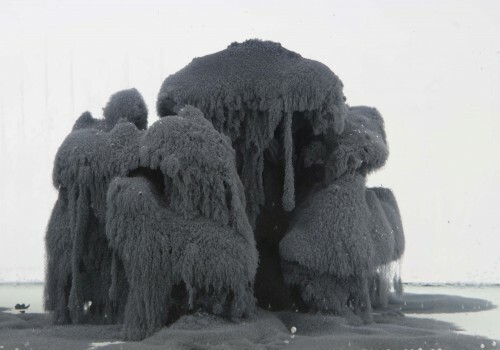 He employs concepts from landscape design, anthropology, philosophy and mass media theories to create a synthetic, clean, compact and direct work; paying special attention to how the various real and virtual layers interact with each other. 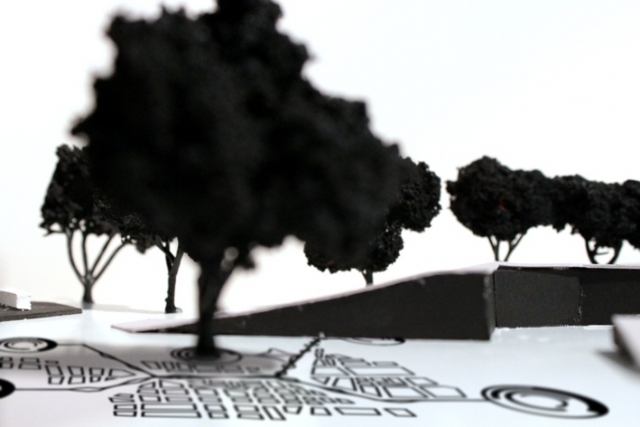 Anton Cabaleiro, Study for Synchronized Landscape, 2011, Drawing, Dimensions variable. Courtesy of the artist. 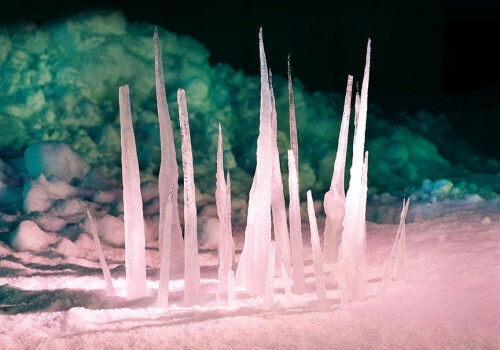 Anton Cabaleiro, Study for Suspended Landscape, 2011, Photograph, Dimensions variable. Courtesy of the artist. 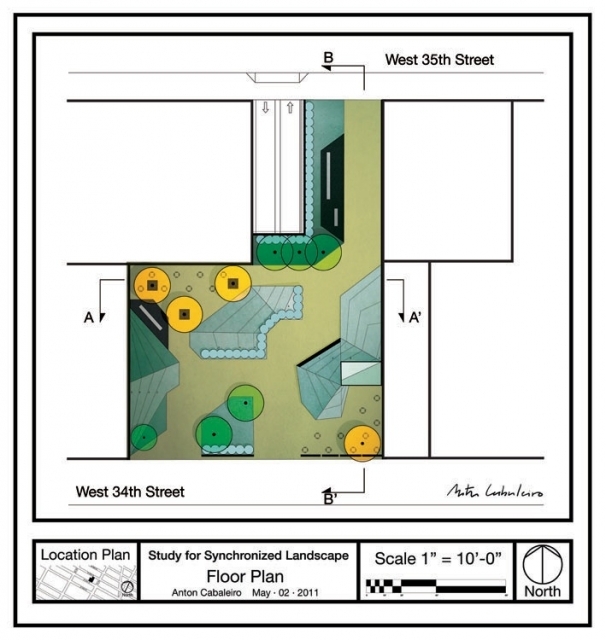 Anton Cabaleiro, Study for Digital Landscape, 2009, Drawing, Dimensions variable. Courtesy of the artist. 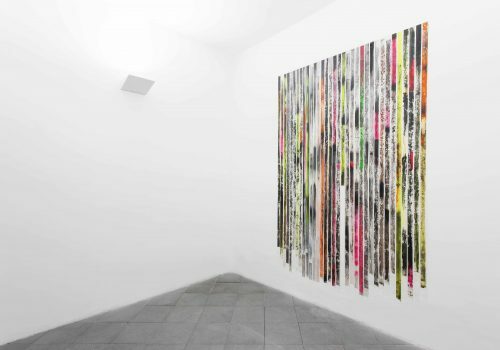 Anton Cabaleiro, Synchronized Landscapes #01, 2011, Video installation, 96 × 60 in. (243.84 × 152.4 cm). Courtesy of the artist. 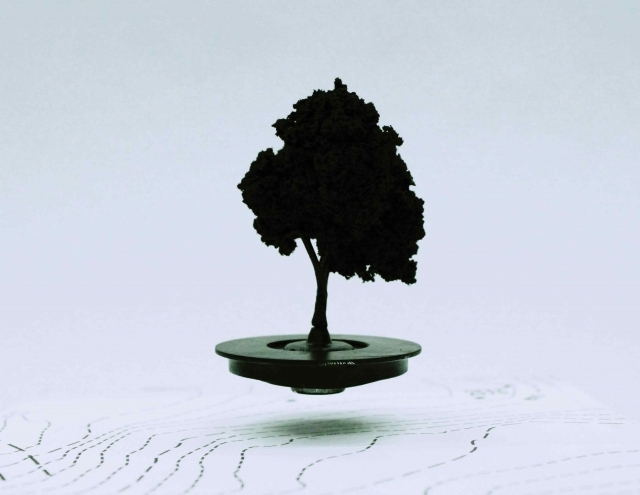 Anton Cabaleiro, Study for Synchronized Landscape, 2011, Photograph, Dimensions variable. Courtesy of the artist.